A West Virginia legislative committee gave the thumbs-up this week to a proposal that would increase the minimum amount of car insurance West Virginia drivers are required to carry. Currently, West Virginia drivers have to carry $50,000 of liability insurance total—$40,000 total to pay for injuries per accident and $10,000 to cover property damages per accident. The bill would up the total amount of required liability coverage to $75,000. The minimum amount required to cover injuries would rise to $50,000 per accident, and the minimum coverage for property damage would jump to $25,000 per accident. The new minimums would apply to policies issued or renewed after Jan. 1, 2014. Raising the minimum amount of liability coverage in the state would help ensure that drivers who cause accidents will have enough insurance to pay for other people’s damages that they cause. That could be good for the policyholder, other people involved in the accident and the court system. But some are expressing concern that the West Virginians who buy minimum coverages would likely see an increase in premiums if they were required to buy more coverage. 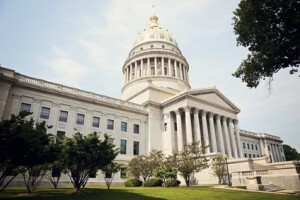 The president of the West Virginia Insurance Federation, Jill Rice, told The Associated Press that the bill’s proposed changes would cause annual premiums to increase by between $24 and $60. Rice also told the AP that the she opposes the changes because average size of West Virginia auto insurance claims is well below the current limits. The bill originally asked for higher minimum liability limits than the version that was approved by the committee. Originally, the bill sponsors wanted to increase the liability minimums to include $100,000 worth of coverage for injuries per accident. The committee cut that sum in half before approving it.